To Elect, to Delegate, or to Appoint? Following the United States presidential election of 2016, the very mechanism of Electoral College and, more generally, the democratic institutions of indirect citizen participation have come under much public scrutiny all over the world. The question is: how relevant, efficient and just can different public institutions and bodies be when formed through unorthodox electoral practices and other mechanisms of participatory democracy – that is, outside the confines of the customary universal and equal suffrage? It concerns the use of various electoral qualifications, the system of Electoral College or any other “intermediaries” who represent the opinion of the voters, as well as the advantages and disadvantages of the use of contemporary models of such procedures in the life of civil society1Parenthetically, several European national legislations still retain legal norms effectively barring ex-criminal offenders from voting or being elected to public offices. Recently, we have seen appeals from Russia and the UK to the European Court of Human Rights (ECHR) contesting the practice of felon disenfranchisement. The ECHR ruling on these appeals has triggered a heated debate..
One would think that the system of democratic elections, especially the Electoral College which is far from being widespread in Europe and Russia, is not among the “hot” subjects on the EU or Russian agendas. Certain aspects of these procedures are rather archaic, incidental to the period of “early” democracy of the modern era, and for the most part have been preserved in the United States. But can elections as such, and the Electoral College in particular, offer a defence against populism and the kind of political manipulations that refer to public opinions and sentiments as a ploy? Especially if one believes, as one of the ECHR judges does, that “the electors seem to realise that their vote carries much more weight than the ballot of an ordinary voter, which makes them all the more responsible in their decision making”2See Dmitry Dedov’s discussion blog “Trump’s Victory or Through Elections to Grasping the Essence of Democracy”, 14 November 2016, accessible at http://www.president-sovet.ru/members/blogs/post/2654/. Dedov is a Judge of the European Court of Human Rights? This controversial statement needs to be taken through its paces, tested to see whether it complies with the rule of law principle and the constitutional right of every citizen “to participate in managing state affairs” and other public institutions. Considering public self-governance – that is the formation of organisations and structures that do not possess regulatory powers but follow the decision of their creation by other public institutions of the same “nature” – we have to admit that the system of their legitimisation through elections is noticeably less elaborated even in the more developed civil societies. We believe it is important to consider diverse options that might be preferable in each particular case: whether the citizens themselves should be allowed to decide how to select or elect their representatives or experts for specific public agencies that act on behalf of all the inhabitants of the country. Here it would be useful to determine which of the specific ways of forming non-governmental institutions are the most sophisticated and free from the pressure of group or/and private self-interests. One of the time-tested practices is the online preferential or rank voting, in which the public can cast its votes for a list of proposed candidates for the final composition of the elected body to be approved by the President. Internet rank voting was used, among other things, to select members of Russia’s Presidential Council for Civil Society and Human Rights. Different councils or chambers, commission and other bodies of consultative or advisory nature, so popular in Russia, that are either formally independent or function under the auspices of certain government or public agencies, are also formed according to diverse principles. A different, and perhaps, diametrically opposed example is the selection of public figures based on the allocation of quotas to different constituencies that participate in the formation of representative civil society organisations. This is especially important in federal states with a complex organisational structures (i.e. centre, region, sub-district or city, rural settlements) that makes it particularly challenging to make constituencies equal. For instance, according to the formation procedure of the Civic Chamber of the Russian Federation, 40 members are approved by an executive order of the President, 83 members represent regional civic chambers, and 43 members represent national public associations. It is noteworthy that, upon being approved by the President, the “presidential” third of the Chamber then proceeds to handpick social activists from certain NGOs, but the principles guiding the selection process are completely obscure. The “regional” component of the Civic Chamber is also quite peculiar and it draws our attention to the formation of regional civic chambers all across the 85 federal subjects of the Russian Federation. The formation procedure of these regional chambers is a multi-stage consecutive process: first, the electors are “appointed from above”, then they proceed to select additional members either from their own ranks, or less frequently, from a particular milieu that typically consists of the heads of different NGOs. This is hardly the place for independent, self-nominated candidates: although theoretically they can become members of these chambers, in practice one can merely encounter them, however rarely, at the lower rungs of the ladder of citizen participation. That being said, such systems appear more advantageous than the “direct, equal and universal” suffrage, at least when the function of the specific public institution at stake is not to govern the state or any other entity for that matter, but to provide professional analysis and expert assessment of the situation in a given field that has to do with the rights and lawful interests of all citizens in the region or the country at large. The ability to devise and put forward competing alternatives, essential at the stage preceding the actual decision-making, is a crucial part of governance and administration. Then how should we form the structures that are capable of working in the interests of the public while being independent from decision-makers? How shall this work be done without being completely delegated to the academic community or any other expert communities, that must be taken to be agenda-driven, biased and bound to pursue their own corporate and even mercantile interests? The use of electors could simultaneously address several concerns – one being the selection of professional and the most impartial experts who represent no one but themselves and their expertise. Experts of this kind are busy devising and selecting prospective decisions that will later be made by other people vested with a mandate, power and responsibility for the consequences of these decisions. The other option: an independent and competent selection of empowered individuals vested with a mandate from the standpoint of their proficiency, competence, their intellectual and moral integrity in the selection of decisive, monumental solutions. Among them can be magistrates or justices of the peace, people’s assessors or lay judges, sheriffs and prosecutors. The third challenge is for the American-style electors to “legalise” election result in accordance with the will of the voter who has voted in an earlier round for one of several candidates for a politically significant public office. The role of the electors will be particularly important when the difference in the percentage of votes gained by the leading candidates is inappreciable or not statistically significant. In that case, in order to legitimise the election results it is important to look beyond the mere numerical outcome of the vote count, and to revise and revisit the very algorithm of drawing conclusions from the voting results, taking into consideration the opinions of different groups of voters. The 2016 presidential election in the USA has clearly demonstrated that in such circumstances the Electoral College, the system of electors currently in place, proves utterly deficient. It also matters that the Electoral College employs a relatively small number of people, who are distinguished from an average Joe by their higher level of competence, erudition and knowledgeability. Such a person is allegedly more responsible in making decisions than the rank-and-file voter, who supposedly does not give candidates much thought, knows them only from hearsay, and is often prompted to cast his or her vote based on the candidate’s superficial appearance. “Democracy remains an understudied topic,” writes Dmitry Dedov, a ECtHR Judge, “and this failure to grasp it is a global phenomenon. We still do not quite understand its inner workings, the mechanisms at work in its functioning. This has largely to do with the art of decision-making and the results of our choices. For instance, having alternative candidates makes it possible to select the best one, and when it comes to the selection of judges, it allows us to choose the most independent ones. 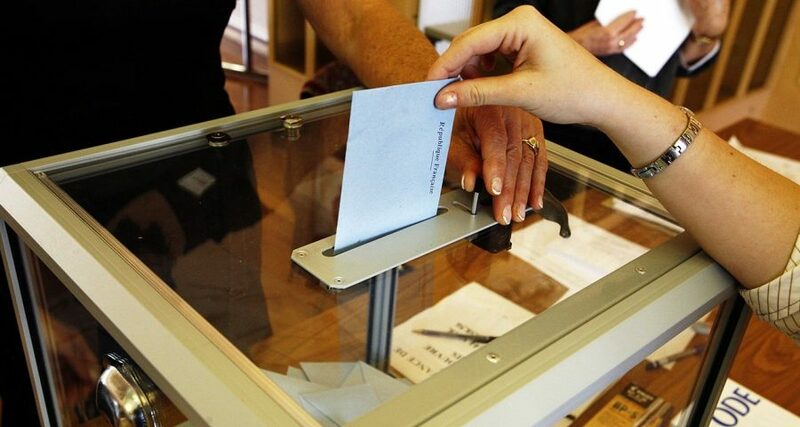 Unfortunately, alternativeness is not an organic part of election process in Russia […] The procedure for the election of Judges to the European Court of Human Rights requires a selection of three candidates for each position, that should each be equally qualified. What more do we need? Other [institutions] should seek to emulate these standards… I believe that the ECtHR is becoming more and more independent, that is to say, the procedure, on the contrary, has proved its own effectiveness, but it is disadvantageous to some people. Obviously, we have to further develop and elaborate electoral procedures in our country3See Dmitry Dedov’s discussion blog “Trump’s Victory or Through Elections to Grasping the Essence of Democracy”, November 14, 2016 accessible at http://www.president-sovet.ru/members/blogs/post/2654/. 1. ↑ Parenthetically, several European national legislations still retain legal norms effectively barring ex-criminal offenders from voting or being elected to public offices. Recently, we have seen appeals from Russia and the UK to the European Court of Human Rights (ECHR) contesting the practice of felon disenfranchisement. The ECHR ruling on these appeals has triggered a heated debate.